Whatever happened to inflight WiFi? Offered by Boeing in the Noughties until the service ceased in 2006, inflight WiFi is still not widely available despite the existence of the technology to enable it. Many US domestic carriers offer in-flight WiFi, but European airlines are seriously lagging behind. A recent global survey conducted by GoGo revealing that 80% of air travellers across Europe and the Middle East want to see WiFi on their flights. We talked to Phil Penuela, Head of Global Consumer Insights at Gogo, a global aero-communications service provider that offers in-flight Internet, for some answers. TravGear: Why did inflight disappear a decade ago? Phil Penuela: A decade ago, the mobile world was just starting its global revolution and the demand just wasn’t there. Smartphones and tablets hadn’t reached the popularity they have today and the required hardware on-board weighed nearly 1,000 pounds, which made operating costs unreasonable. Ultimately, the cost of the technology at the time was higher than customer demand. TG: Why is it only returning now? PP: Gogo has long been connecting business aircraft, but in 2008 when the service launched on commercial aviation, the iPhone had just been announced and social media was starting to explode. As smartphone usage skyrocketed, there was suddenly a demand from passengers who wanted to be constantly connected. This has only increased since mobile devices became more commonplace and users started to use more bandwidth-hungry apps and content. This has forced airlines to listen to customers and begin implementing in-flight Wi-Fi. And per Gogo’s latest global traveller study, interest in in-flight connectivity is continuing to skyrocket, especially outside of North America. According to the study, overall, 80 percent of air travellers in Europe and the Middle East are interested in using inflight Wi-Fi. TG: How does inflight Wi-Fi work? PP: In-flight Wi-Fi operates generally in one of two ways. The first is an Air to Ground network, which Gogo operates exclusively in the United States, Alaska and Canada. Air to Ground solutions use a network of cellular towers on the ground to provide connectivity to an aircraft. ATG is the smallest, lightest, and most economical connectivity solution and can be installed to an aircraft overnight. The second solution is satellite. 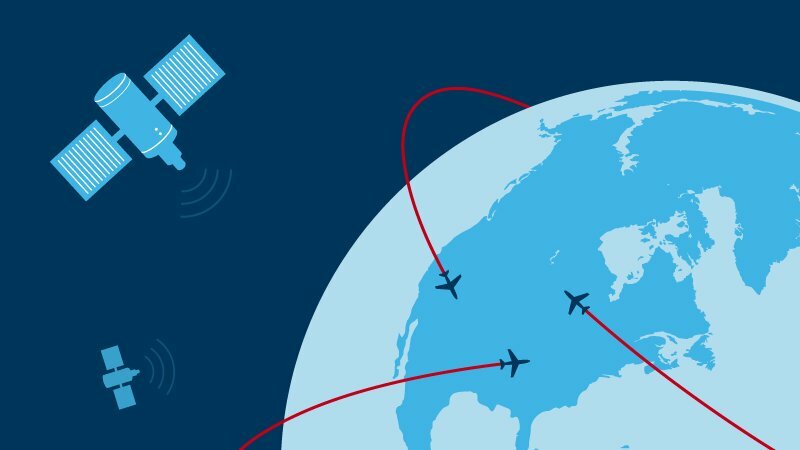 When coverage from ATG-based systems isn’t possible (like over water), satellite technology brings in-flight Internet down from space. A satellite is placed on top of the aircraft, and the antenna pans and rotates in order to stay pointed at the directed satellites to bring passengers Wi-Fi access. Satellite solutions generally deliver higher speeds, but are more expensive than ATG and require a longer installation time. TG: Why is it so restricted to business/1st class? PP: While business travellers are a large percentage of our customers, our customer base is definitely not restricted to just one demographic. All of our airline partners offer in-flight Wi-Fi to the entire cabin, not just business or first class. PP: Not necessarily, but we are getting there. In terms of connectivity, although most of the U.S. aircraft offer in-flight Wi-Fi, globally, a majority of planes still remain without a broadband connection. The next step for Gogo will be to not only provide passengers with connectivity and entertainment, but to provide operational solutions for the flight crew. This includes connecting pilots through an electronic flight bag so they can get real-time data to improve flight safety and operate more efficiently and connecting components on the aircraft like engines and other key hardware so they can be monitored instantaneously.